I was waiting to see if I could hold to it, before I shared with you a commitment I made. I decided to go grain-free and sugar-free for a year, as well as give up high glycemic index foods. I know a year might seem like a long time for some, but for me, it will be a type of milestone. You see, I gave up these things a few days before my 49th birthday. That means my commitment will be over right before I turn 50. I figure it was an early 50th Birthday present I am giving myself. It will help me to unwrap my gift layer by layer so that hopefully by 50 I will be feeling better than I did at 45, maybe even 40. I am 8 weeks into this commitment. I have had a few temptations along the way, but I remind myself of my one year commitment and somehow that really does not seem that long in the big scheme of things. Time passes so quickly. Holding to this commitment seems more important now than the temporary satisfaction of eating junk. But it has been challenging at times. Most days I don't have much of an appetite and forcing myself to eat is required. Miss Piggy, the head doe of the herd and her twins this year. We moved up into the mountains. The kids and I love it. This is our opportunity to do all the things we have desired with building toward becoming self-sustaining. I have started taking herbal medicine classes. It's amazing how much medicine we grow in the wild up here. We have so much edible food that I would have never recognized as food. 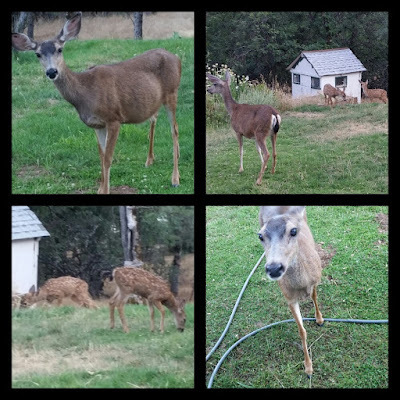 Of course competing with my herd of deer who spend hours on our property daily for the wild edibles is a challenge in itself. But how can one get upset when they give birth to such precious fawns. 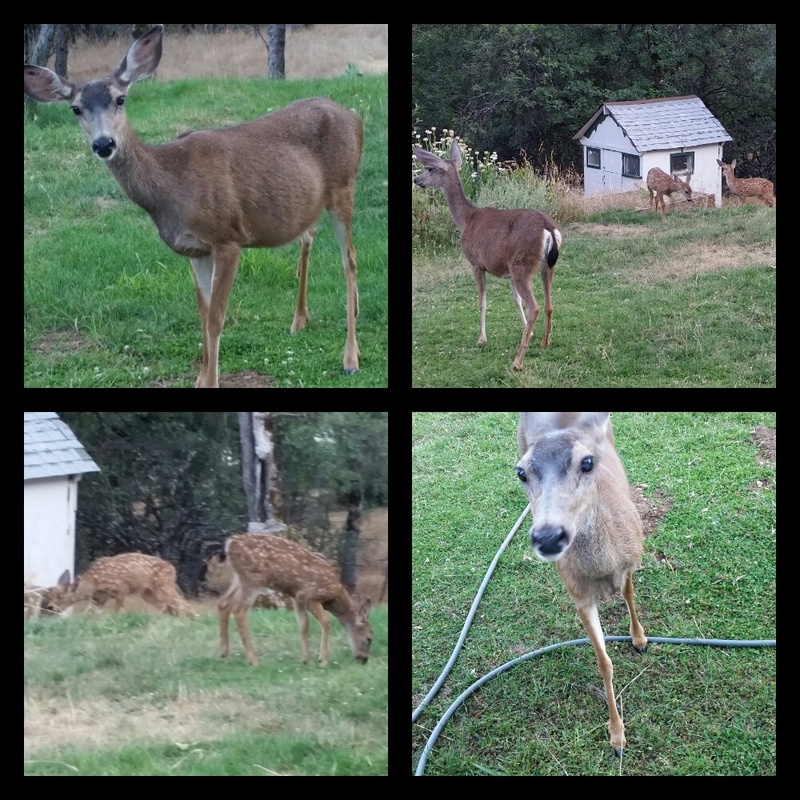 We have 4 new fawns in the herd this year. I have to show you two of them. All of this to say, I want to share with you one of the recipes that I really enjoy for grain-free, sugar-free eating. I flavor it various ways to change it up a bit, but the basics remain the same. It's a type of pancake. Some call it a cream cheese pancake, others a keto pancake, but I call it my fauxcakes. They really hit the spot for something sweet and that seems somewhat like pancakes. 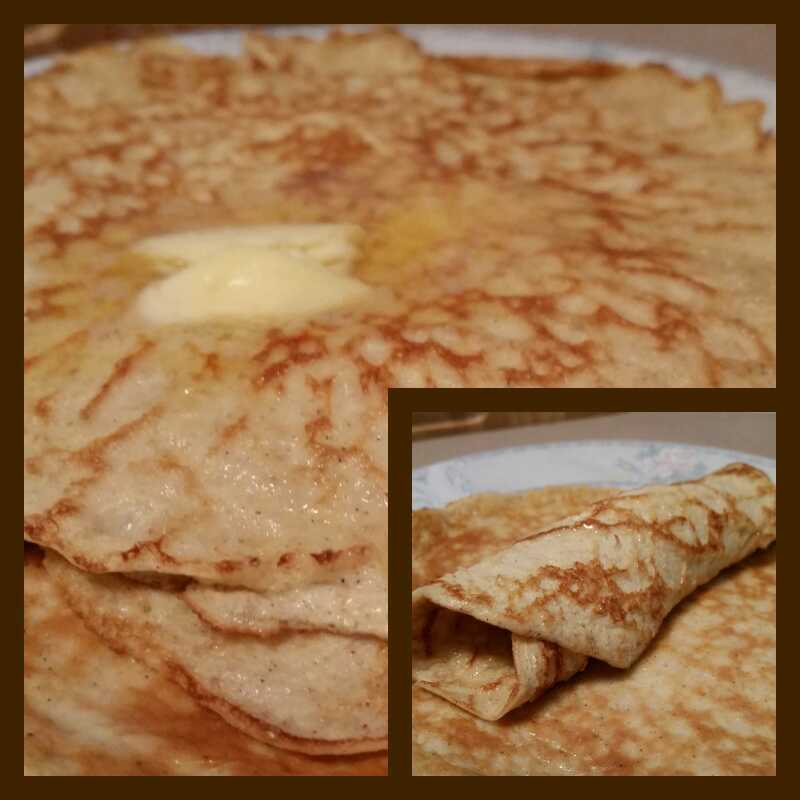 The upside is they are moist, sweet, and flavorful enough to eat with just a little butter on top, no syrup. Also, you can leave the stevia and spices out to use as wraps or even add some herbs. They are versatile. Some people add a tablespoon of coconut flour to this mix, but I like it better without. Place all ingredients in Nutri Ninja or blender. Blend until fairly smooth. Let set for a few minutes while the air settles. Heat griddle or skillet. You can use butter, a non-stick oil spray, or coconut oil to grease the pan. Pour a small amount to make about 4 inch pancakes (or bigger if you desire). Cook for about 2 minutes or until it appears firm enough to flip. Flip and cook another minute. They should be golden brown on both sides. Remove and drizzle with butter. You can serve with any toppings you desire, but butter is enough for me.